The Flatwater Supervisor Award is for people seeking professional certification in enclosed flat water paddling areas perfect for school and group camp style paddling needs. 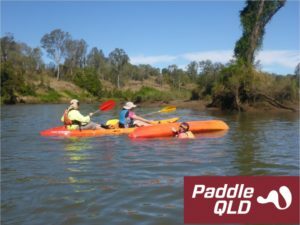 Holders of the Flatwater Supervisor Award are qualified to manage a paddling activity in canoes, kayaks or sit-on-tops in enclosed situations, performing rescues as required, where the group under supervision can be seen from a single vantage point at any time and does not leave the immediate launch area. i.e. : – you are able to impart the skills required for participants to partake in an activity with you, where if anything goes wrong you are there to deal with it.